Strokes are one of the most common health concerns senior have. 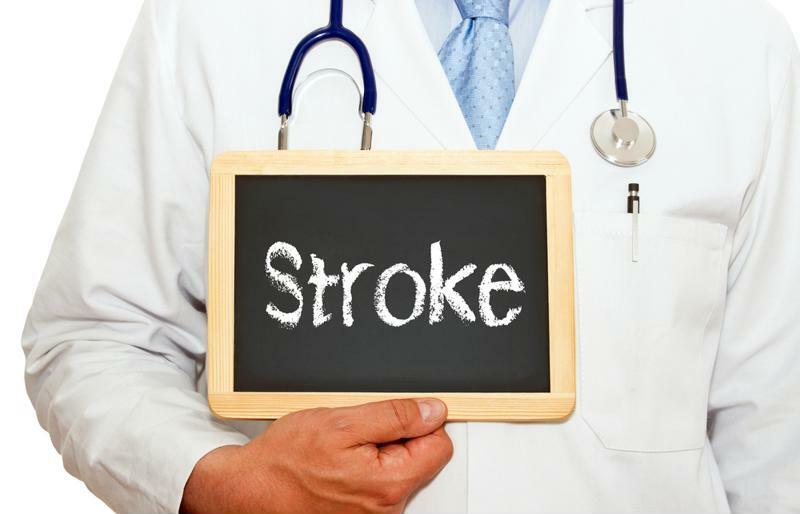 While strokes can strike Americans of many ages, their effects and risks are particularly pronounced for older adults. However, thanks to tireless and extensive public health campaigns to educate people, more is known on stroke recognition and prevention. This knowledge enables seniors to make better lifestyle choices that avoid risk factors, as well as understand more about the condition and its effect on the body. Yet researchers are still gleaning further insights into strokes and how they impact the lives of survivors. For instance, while much of the attention is given to the physical damage strokes can have on an individual, there is growing evidence that mental health is also affected. Such breakthroughs indicate much more is still unknown about strokes and the dangers they can present. As defined by the National Institute for Neurological Disorders and Stroke, a stroke happens when blood flow to the brain is interrupted, or when blood leaks into the brain from a burst vessel. The former is known as an ischemic stroke (and is the most common type), while the latter is called a hemorrhagic stroke. As either oxygen deprivation or pooling of blood occurs, brain cells don’t get nutrients and die off, and when lost, the functions they control may similarly be gone or severely diminished. This is why strokes can often lead to a drooping of the face on one side of the body, or the loss of muscle control. Warning signs of stroke include dizziness and confusion, trouble with speaking or seeing, loss of feeling on one side;and/or sudden and severe headaches with no explanation. According to the U.S. Centers for Disease Control and Prevention, strokes kill 140,000 Americans each year, or about 1 in every 20 deaths, making it the fifth-leading cause of death. A stroke happens every 40 seconds and each year more than 795,000 Americans experience an attack, of which 610,000 are first or new strokes. Underscoring the risks of strokes in seniors, the CDC said strokes are among the leading causes for serious long-term disability, while it has also been shown to reduce mobility in more than half of stroke survivors aged 65 and over. Some of the most prominent risk factors for strokes include high blood pressure, high cholesterol, smoking, obesity and diabetes. But as the CDC notes, a troubling rate of 1 in 3 American adults has at least one of these symptoms or habits. Becoming more aware of stroke risk factors is important or seniors. A recent study has shed new light on some of the effects of strokes, pointing to potentially negative impacts that extend well beyond the physical. Research published in the journal Neurology and performed by a team at the Cleveland Clinic suggested that mental health can also be damaged by stroke, an outcome that until now had not attracted much thought. Of the patients included in the study, 1,195 had experienced an ischemic stroke and were asked questions about physical functioning, anxiety, thinking skills and about how much pain interfered with their satisfaction in current social roles and activities. Participants also completed a questionnaire for an average of 100 days after the stroke event that was used to compared their self-reported abilities and emotions to the general population. To be sure, the area that affected stroke victims most was physical functioning, with 63 percent having scores considered meaningfully worse than those of the general population. However, more is revealed by the 58 percent who had meaningfully worse scores when asked about satisfaction with social roles and activities. Forty-six percent had self-reported scores related to thinking skills and executive function. As more is learned about the damaging effects of strokes, so too are new possibilities for treatment being discovered thanks to a largest-of-its-kind international study researching the intersection of genetics and disposition to stroke. Studying more than 520,000 people, a global research team including University of Maryland School of Medicine researchers identified 22 new genetic risk factors for strokes, which amounts to a tripling of the “gene regions known to affect stroke risk.” Researchers found, for instance, that stroke risk shares genetic influences commonly seen in vascular conditions like coronary artery disease. Researchers said that the molecular mechanisms of strokes were not fully understood, this despite strokes being the second-most common cause of death and disability-adjusted life-years worldwide. This lack of understanding complicates the development of treatments and medications, but those involved in the study were optimistic that their findings could shine a light on potential avenues of progress. For seniors living in a retirement community or considering transitioning to one, this is important news to be aware of. Stroke risk can be mitigated, and taking steps to lessen those factors that are under your control is crucial to ensuring your well-being in the golden years. For instance, finding social support among peers and neighbors in a community can potentially alleviate the dissatisfaction some stroke survivors face. For more information on what senior living entails, contact Edgewood Healthcare.